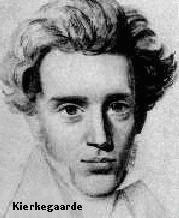 Kierkegaard’s understanding of “passion” is different from many writers of the early church who sought to quell passion in the soul. Here passion does not refer to inordinate desire, but rather to the awareness of the significance of one’s existence and actions. It is impossible to exist without passion, unless existing means just any sort of so-called existence. For this reason every Greek thinker was essentially a passionate thinker. I have often wondered how one might bring a man to passion. So I have thought I might seat him on a horse and frighten the horse into a wild gallop, or still better, in order to bring out the passion properly, I might take a man who wants to go somewhere as quickly as possible (and so was already in a sort of passion) and seat him on a horse that can barely walk. But this is just how existence is, if one becomes conscious of it. Or if someone hitched a carriage with Pegasus and an old nag, and told the driver, who was not usually inclined to passion, “Now, drive”: I think that would succeed. And this is just how existence is, if one becomes conscious of it. Eternity is the winged horse, infinitely quick, and time is the old nag, and the existing individual is the driver; that is to say, he is the driver when his existence is not merely a so-called existence, for then he is no driver, but a drunken peasant who sleeps in the wagon and lets the horses fend for themselves. True, he also drives, he is a driver, and so there are perhaps many who–also exist. Søren Kierkegaard, Concluding Unscientific Postscript to the Philosophical Crumbs, trans Alastair Hannay, (Cambridge: Cambridge University Press, 2009) 260-261. This entry was posted in Existentialism, Kierkegaard, Passion, philosophy, Philosophy Class Archive, The Self, Uncategorized by MyM. Bookmark the permalink. Hello. Here is the citation.